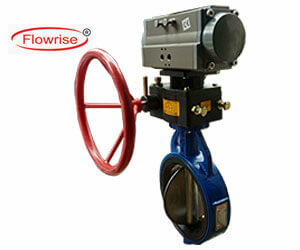 We are one of the leading organizations engaged in manufacturing, supplying and exporting Butterfly Valve. Butterfly valves are particularly effectively-suited for the handling of large flows of liquids for the handling of slurries or liquids with huge amounts of suspended solids. Our offered assortment of these types of valves is manufactured at our production unit by our highly educated and experienced professionals who are using high quality raw components that are procured from the reliable and certified venders from the industrial markets. We are leading manufacturer exporter and supplier of Pulp Valve that includes molded paper Pulp Valves. These valves are well known for its high ductile strength and erosion confrontation. Plug Valves are permeated with P.T.F.E. which provides greater wear conflict and ensures low consistent operating twisting of lubrication P.T.F.E. Also enhances resistance to seizure. The globe valve must be mounted in the good relative to the media flow as indicated by the flow direction arrow marked on the valve body. Globe Valves are manufacturing in a variety of materials and flairs some of which include corrosion resistant. Pinch valves deliver the skill to control the stream of fluid through an incessant flow track. This Valve Incorporates all the design modification based on our experience in the field and is of sturdy construction to handle abrasive and corrosive media.